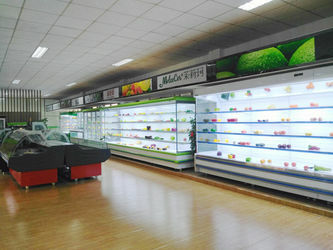 Located in Huadu District of Guangzhou City, Guangdong Green&health Intelligence Cold Chain Technology Co., Ltd is a professional manufacturer with more than 10 years experience in the R&D of commercial refrigeration equipment. 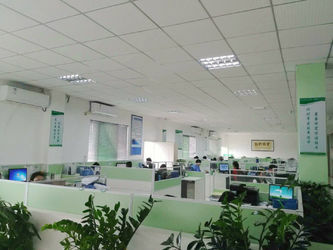 Covering an area of 50,000 square meters , and the registered capital is 10 million RMB, now there are more than 300 employees including 50 senior technical managerial personnel. Green&Health is dedicated to be the most influential and professional intelligent cold chain production base in southern China! Meanwhile , Green&health domestic business grows rapidly with a double rate each year . 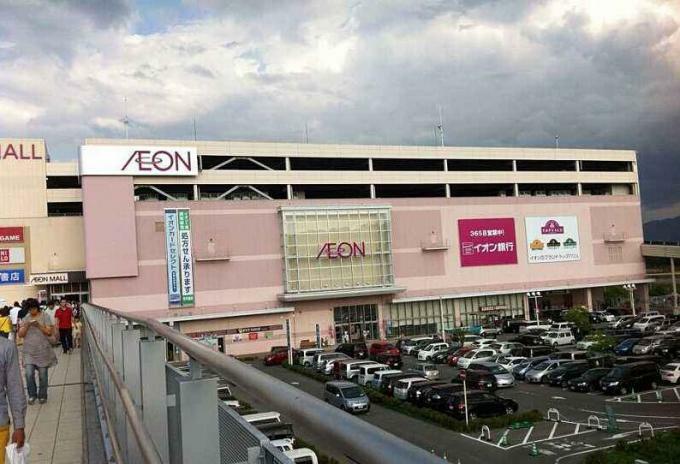 Recently, we have developed more than 600 dealers and large chain stores. 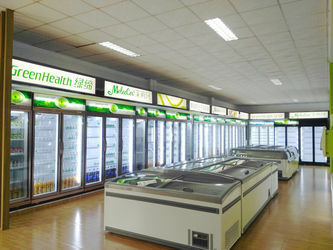 At present, Green&health has signed contracts with the following terminal chain customers : Furongxingsheng convenience store, wowo convenience store, Guangdong Lejiajia convenience store, Hainan easy-buy convenience stores, Weiran jinhe convenience stores, Shidaihuijia convenience store, Guangdong yiyikoutian fresh chain store, Nanning Tobacco Board, Hainan every day coming store, every day benefits store, Changchun Hengkelong convenience store, Century Hualian Supermarket, East Fuk department store, Vodafone department store, Guobingfeng supermarkets, Trust-Mart supermarket, Shiguohui fruit chain ,Guoweiyi fruit chain, PARKnSHOP supermarket, Qiandama fresh chain, Sweet potato vine fresh chain, and other well-known brand chain. Green&health intelligence cold chain always adheres to the "quality extension of the market, innovation leads to development", follows the integrity of the operation , rigorous recruitment, and imports advanced production testing equipment, uses new material & technology & craft, and constantly develops better quality and higher grade professional products to provide better service for our customers. 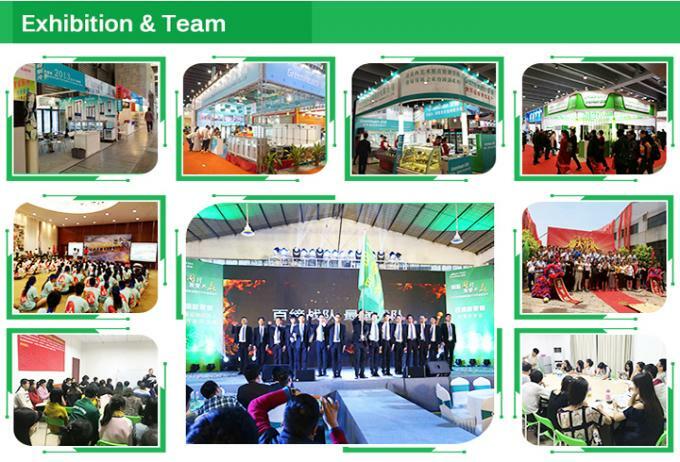 Carrying the glory and dreams, Greenhealth will courageously proceeds and never stops to be one of the world-renowned enterprises for the revitalization of national industry . cooperation with huizhou tangquan spring golf club. with British large hospital. Since then, each year 10000 medical refrigerator sold to the UK market. Embellish Xin and so on, We signed the agreement on the cooperation for our common development for many years. 2017- From May 1st of 2017 Greenhealth Factory move to Huadu District, more than 50000 square meter area for production. 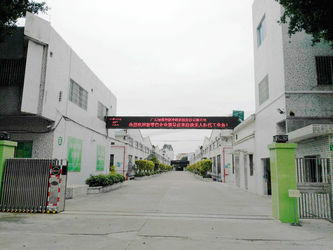 production ability reach 50~80pcs per day for different production. Auto laser machine will be ready next Month. 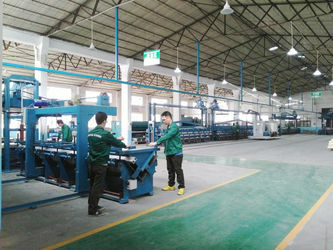 to ensure everyunit from our factory is perfect. 1. 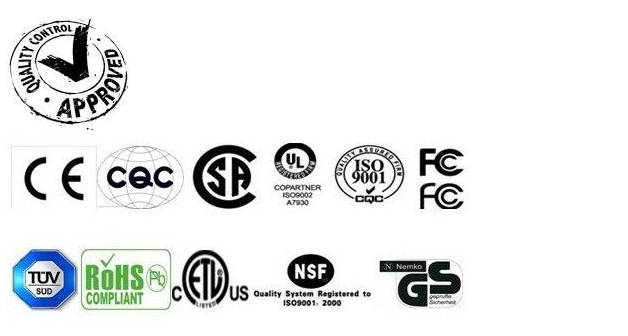 Well noted about the meaning of OEM.we will do our best to meet your requirements. 2. Most of our products are customized. 1. We will update the production process to you in time. 2. We will do the QC job at least 3 times to keep sure all detail are perfect. 3. We will send the free spare parts together with the containers. 1. We will keep in touch with the forwarder about the exact date the containers will arrived your port. 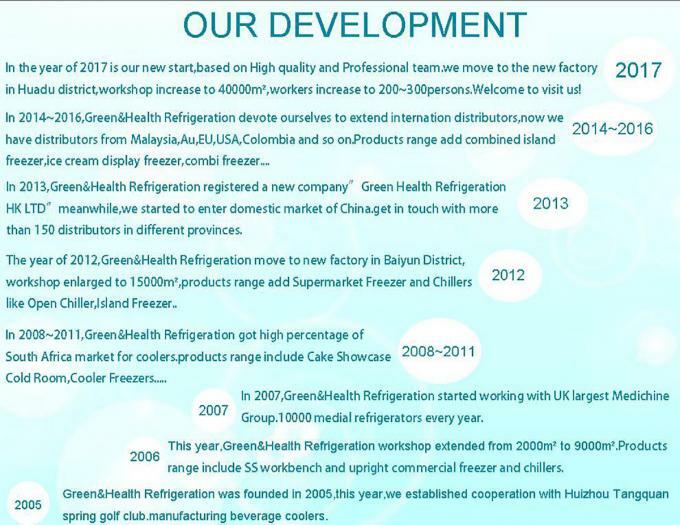 Established in 2005, Green&Health has more than 12 years experience in supply Refrigeration equipment. 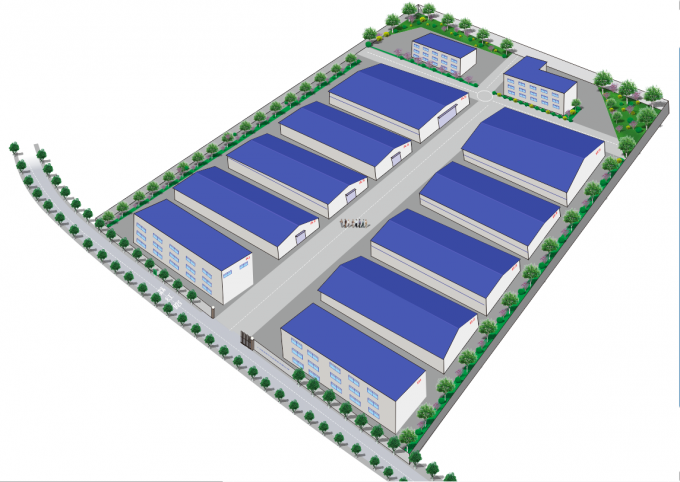 Now we have 50000 square meter industrial park and more than 200 employees including 10 senior technicians.